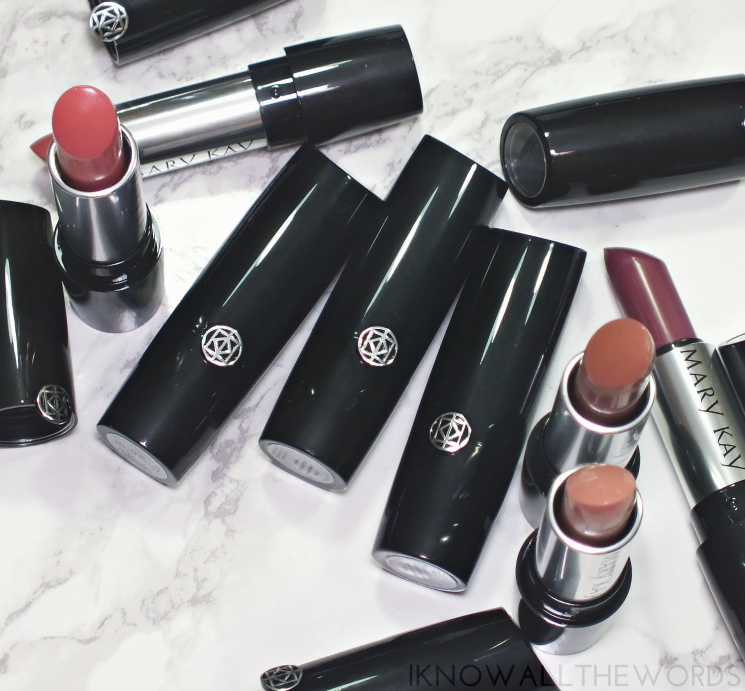 Mary Kay has changed up their lipstick packaging with this range- gone are the metal push-down tubes- and have instead gone more traditional. The all black tubes feature a silver crest (which is fairly similar to Armani actually...) but still feature the viewing window to easily spy your shade without having to open the cap. 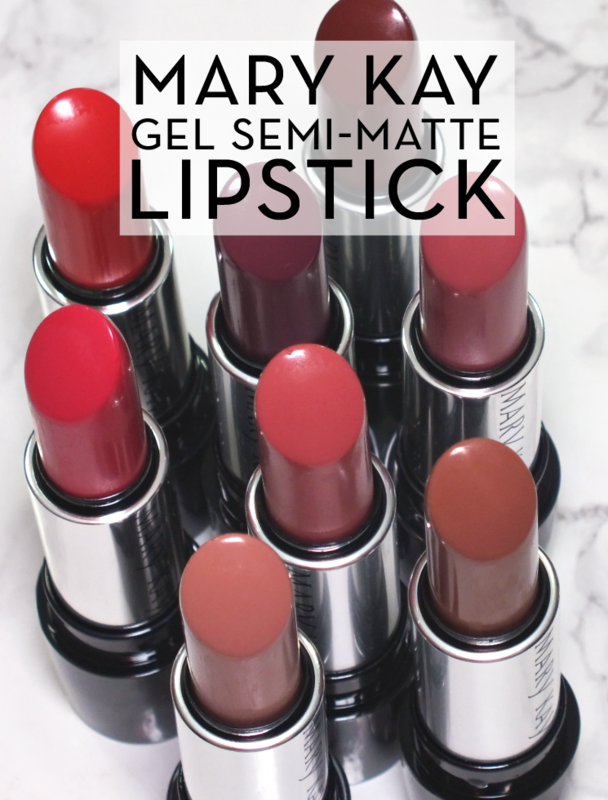 The Gel Semi-Matte Lipsticks have a pretty unique formula, as they do give a semi-matte finish, but have a smooth, creamy-like feel on lips. 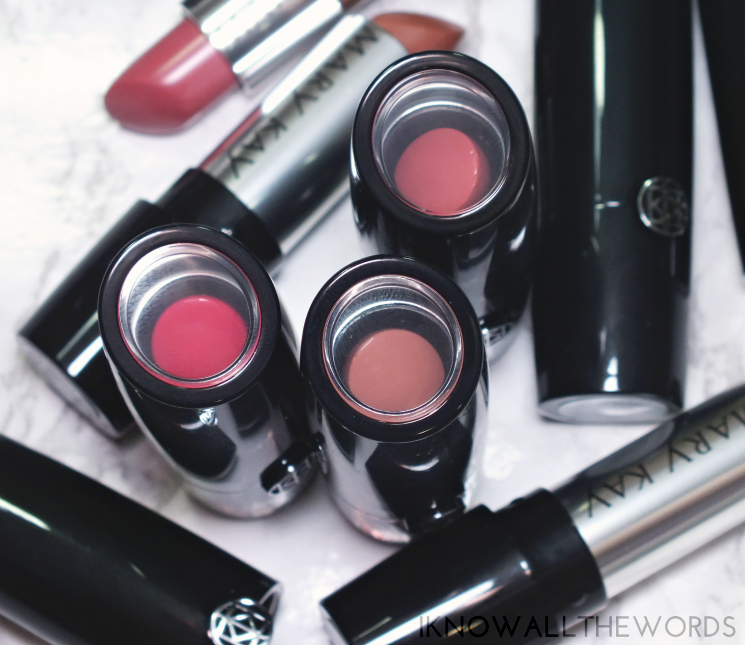 The gel based lipstick glides easily on lips with a soft, almost powdery feel, but are easy on lips. The colour applies really smoothly and easily without making imperfections and lines look more apparent. That's thanks to the “Cushion Matrix Technology” that uses ultra-fine silica micro-spheres to 'embed and retain colour on the surface of the lip.' Go science! 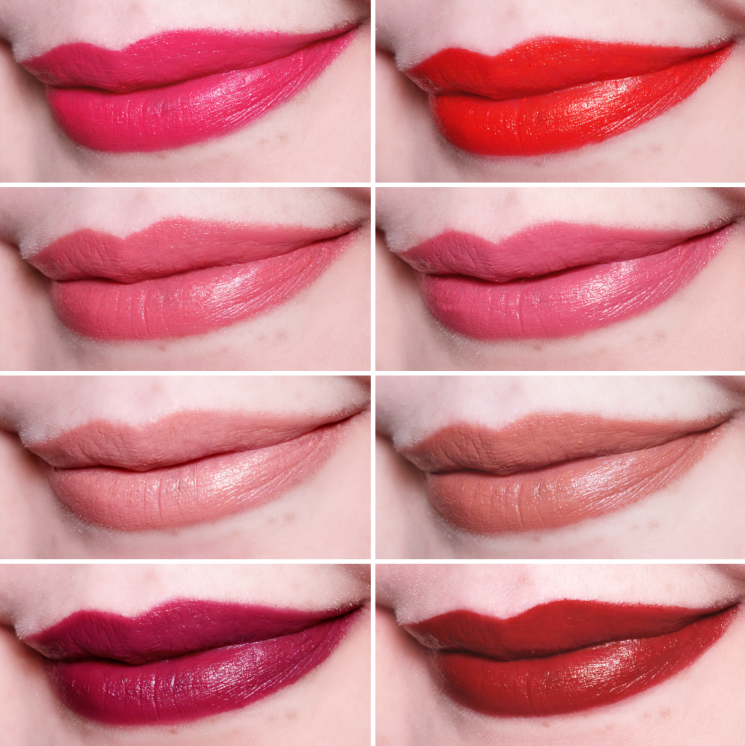 My lips were not in the best condition when I set to swatch these, but I was incredibly pleased at how well the lipstick smooths over dryness. The formula also wears without any dryness, a major plus. I found these shades wear really well for 4-5 hours and fade perfectly. 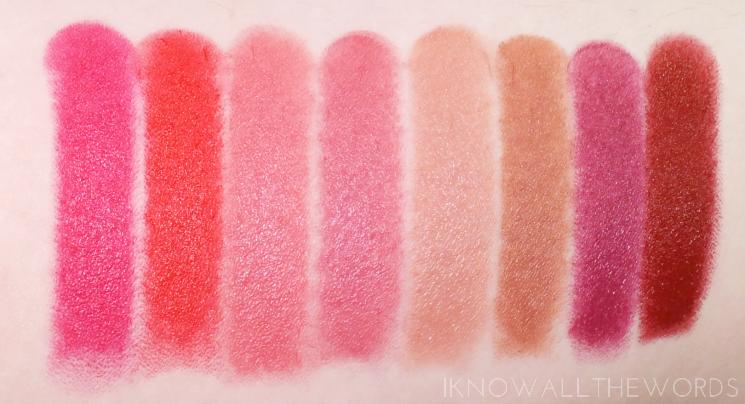 Most of the shades get a bit more matte as they fade and as such stay put even longer. I didn't experience any dryness (and my lips have been dry the past month or so) which makes these so perfect. I wear matte lip shades a lot of the time, but when your lips are already on the dry side, it's not always the best choice. The formula didn't seem to add moisture, but does contain sunflower oil and jojoba esters to help condition lips. Overall, I really like these! 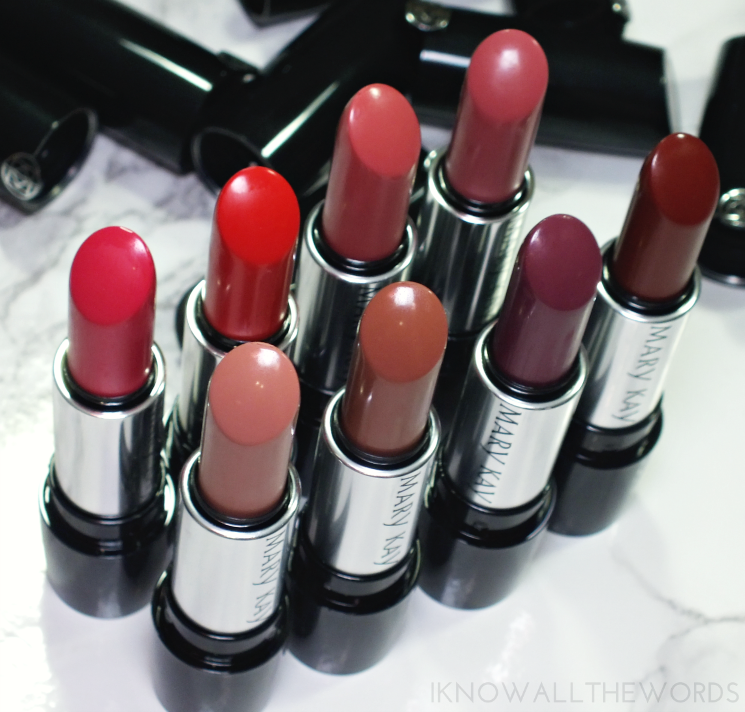 Unlike most of Mary Kay lipsticks, these do have a slight scent. It almost smells like Earl Grey tea to my nose, but I think it's actually a hint of lavender (based on the ingredients.) The scent is very light, but really pleasant. Of these shades I especially like Bashful You, Rich Truffle (a great brown for lighter skin tones) and Mauve Moment but am thinking Midnight Red might be my new Fall go-to. What do you think? Could you use a shade (or two) in your makeup bag?